As an extension of the Capital Philharmonic of New Jersey Inaugural Youth Orchestra Festival that took place on Saturday January 26, 2019, the following select students from Symphonic Orchestra will have the opportunity to participate in this Side by Side concert. The location will be the Patriots Theater at the Trenton War Memorial. 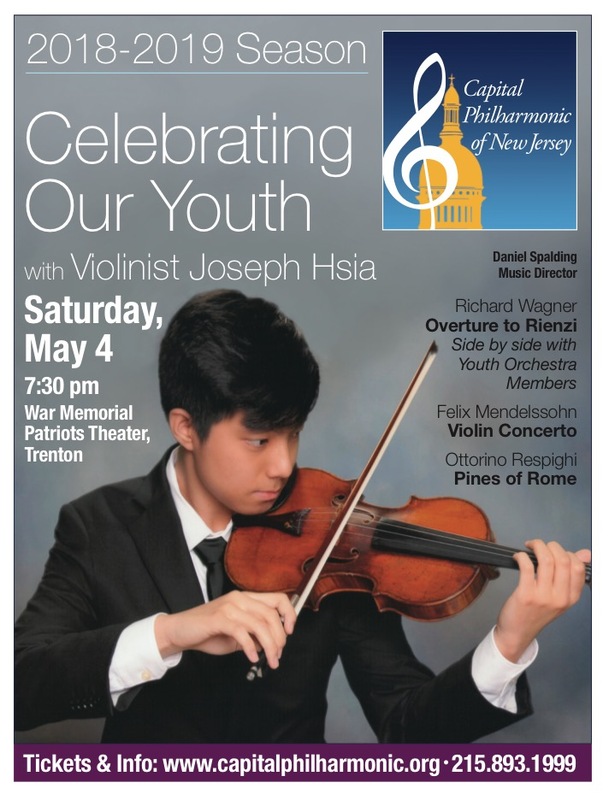 What an exciting opportunity for the Youth Orchestra of Central Jersey!